I had a whole other 12 O'Clock Track written up by the time I heard early last evening that Robin Williams had died. 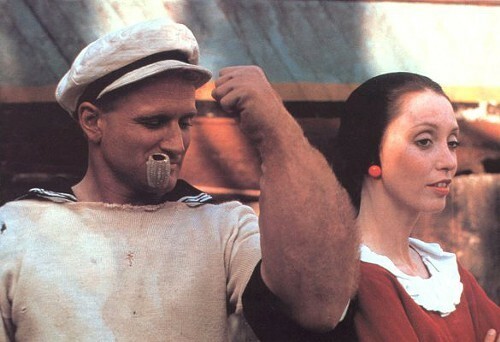 Coincidentally, my first exposure to him was in a musical—in Robert Altman's carnivalesque, rambunctious take on Popeye, with its winsome, youthful soundtrack courtesy of Harry Nilsson. For some reason, my parents played this for my brother and me quite often when we were very young, and for a long time it was a subconscious touchstone. For today's 12 O'Clock Track, remember the comedian and actor in a joyful context with his performance of "I Yam What I Yam."